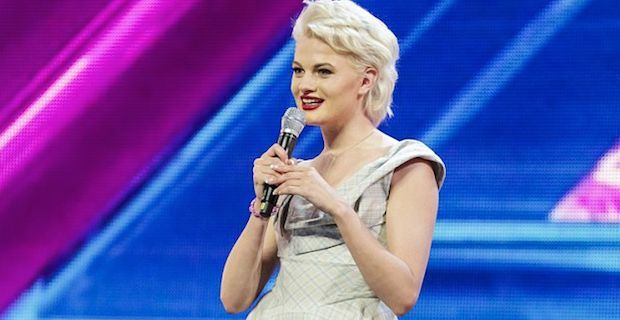 It seems Chloe Jasmine Whichello may have come in for some special treatment from X Factor bosses after it emerged she was given a second chance to audition after fluffing her first one. Whichello, who is very popular with fans of the show due in no small part to her overwhelmingly posh accent, seems to have benefitted from her popularity and been thrown a lifeline by the show's makers. She stood up on stage for her audition at Wembley Arena on the Friday night where she attempted to sing Ella Fitzgearld's Misty for the judging panel in the hopes of getting through. Things did not go so well for her however, and she quickly forgot all of the words to the song and proceeded to break down in tears. Avid X Factor viewers were not shown any of this though when the live Wembley auditions show aired. The TV episode just showed Whichello walking out on stage and performing her second audition really well while the judges acted like no failed audition had ever taken place. All the fans in the stadium on the Friday night though would have been aware that she did not progress through after missing her lines. She was allowed to perform a second audition on the Saturday night which was to take place in front of a totally different audience. Singing Why Don't You Do Right, Whichello suitably nailed the song and impressed all 4 judges who put her through to the next round. Simon was totally enamoured with Whichello saying that he felt that she hadn't "connected with the right song" yet and went easy on her as he reckoned she seemed to be "suffering from nerves". The move has caused a huge controversy with many people saying that it is very unfair for certain people to be given second chances when the majority of contestants don't get that luxury. A spokesperson for the X Factor has defended the move saying "Judges on occasion give a second chance if they feel the contestant hasn’t fulfilled their potential from their room audition."